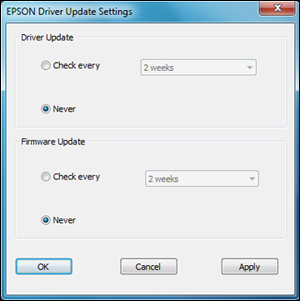 Your printer software for Windows automatically checks for updates to the product driver and firmware. You can change how often the software checks for updates or disable this feature. Right-click the product icon in the Windows taskbar. Note: If you choose to disable the automatic update feature, it's a good idea to periodically check for updates on Epson's support website.